Clive Anthony Stace BSc, PhD, DSc is a British botanist. Born in 1938 in Tunbridge Wells, Kent, he has been a keen naturalist from Primary School age. He became familiar with the wild plants of the area from the expertise of members of the local Natural History Society, of which he was a junior member, in his early and mid teens. He attended The Skinners’ School, the local Grammar School in that town, from 1949 to 1956, graduated in Botany from King's College, University of London in 1959, and gained his doctorate at The Natural History Museum, London in 1963. For the next 41 years he carried out research and teaching at the Universities of Manchester and Leicester, where he is now Emeritus Professor of Plant Taxonomy. He gained his DSc in 1980 and his Professorship in 1985. Throughout his University career he organised student field-courses on an annual basis in Britain, France and Spain. He has always considered fieldwork to be an essential part of taxonomic research, and he has carried it out in most regions of those three countries. 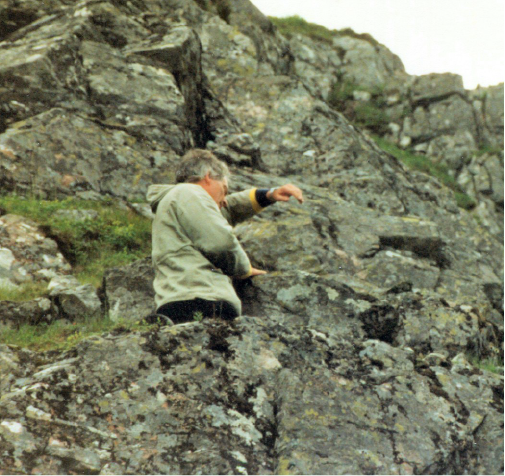 He was President of the Botanical Society of the British Isles 1987-89 and was elected Honorary Fellow of the Linnean Society of London in 2004.